I love reading creative Elf on the Shelf ideas, but I’ll be the first to admit that I’m not usually a parent who goes all out with magical scenes every night and handwritten notes. For one, we don’t really tell our kids that their Christmas depends on their behavior, so Elf on the Shelf doesn’t report it to Santa in our house. Second, I’m kind of a lazy mom. Not in the “too lazy to take care of my kids” way. More in the “not one more thing I have to keep up with” way. 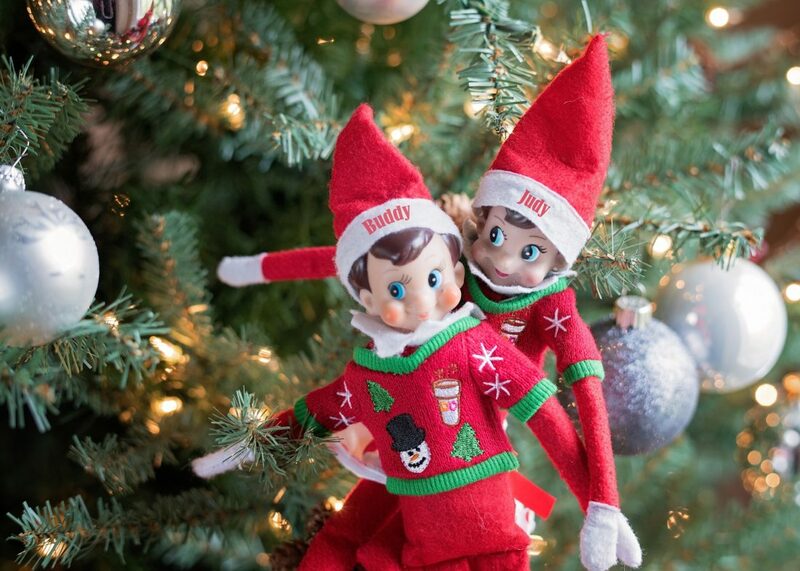 If you think you’re a bit like me or if you just need some simple Elf on the Shelf ideas, this Elf on the Shelf schedule is totally the one for you. I’ve even included our North Pole Snow Days where Elf doesn’t move, perfect for the nights when you just forget. Use as needed! Pin the graphic to reference it again and again, even if that means you’re digging it out of your Christmas Pinterest board next year. I promise, your kids probably won’t remember. Haha 😆 It’s kinda fun once you take the stress of overachieving parents out of it, lol! Ours even got married the year before last. Very fun and easy ideas. Thanks a lot. The ideas for elf on a shelf are really good and will be lots of fun. This is so great! I just bought an Elf on the Shelf and was thinking up ideas for him. Ooo, congrats! They really are pretty fun. What did you decide to name him? I always have to ask for new ideas, I’m not very creative I guess. This is great – so hard to think of new ideas. I sure do need new ideas. Our elf has done everything I can think of. Don’t be afraid to recycle ideas! Our elf takes cotton ball baths and make snow fortresses out of marshmallows every year, and the kids never get tired of it! Love this post. It is a great help. I am deff one of those parents who forget about the elf! Great tip and will keep that in mind, especially when I tend to forget things, Merry Christmas! thanks for the cheat! i always start strong but find myself running out of ideas. So true! I try to do minimal movement with a few fun things thrown in here and there. It’s easier for me to manage that way, and I think it keeps it fun and magical for the kids because they aren’t bombarded with crazy stunts every single day. They take it for granted less in my opinion.